Shaun the Sheep review: Despite the size and the scale (85 minutes), the filmmakers retain the innocence about a flock of sheep and their beloved farmer. Shaun the Sheep movie review: Despite the size and the scale (85 minutes), and the transition to the big city, directors-screenwriters Mark Burton and Richard Starzak retain the innocence about a flock of sheep and their beloved farmer. 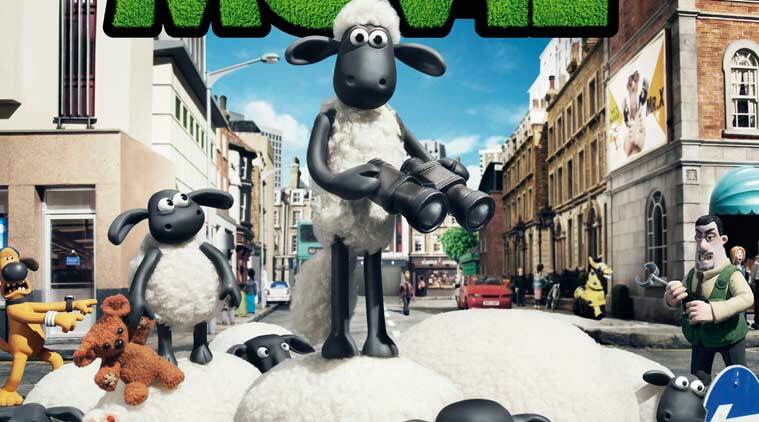 After 130 seven-minute television episodes, starting eight years ago, Shaun the Sheep has made it to the big screen. Despite the size and the scale (85 minutes), and the transition to the big city, directors-screenwriters Mark Burton and Richard Starzak retain the innocence about a flock of sheep and their beloved farmer, down to the no-frills stop-motion animation and the no-words story but for some baas and murmurs. In this case, little Shaun (Fletcher) is restless at the monotony of their days, which begin with being herded to and fro, and end at an unwelcome shearing. He is rather proud of the tuft of fur at the top of his head, but the Farmer (Sparkes) doesn’t spare it either. One day a bus drives by with the image of a girl having a day off, and Shaun decides this is what he and the rest of his flock need. They manoeuver the Farmer into sleep, lock him up into a mini-trailer, and settle down for the day inside the house with television, pizza and popcorn. However, dog Britzer (Sparkes, again) intervenes, and the trailer sets off rolling. Britzer and the Farmer land in the big city, the latter with his memory gone. Meanwhile, the sheep are locked out of the house with three little mean pigs, find their feed out of reach, and decide to go to the city themselves to get the Farmer back. What happens is unsurprising, complete with the sheep dressing up to pass off as sophisticated ladies, an under-confident animal containment officer wielding his trap like a gun, and lunch at a chic cafe that goes by the name le chou brule (all suitably lower case). The adventures too move along expected lines, but Burton and Starzak cleverly evoke the longing for home, to make the theme universal, mix in some lovely songs, and throw in clever references to keep the adults amused. The smartest comeuppance is the sheep getting out of more than one tricky situation by jumping over a fence, and repeating so in circles. Everyone is caught napping.